The reduced cycle times of Agile methods increases the need for Automated Customer Testing. I want my Customer Tests to be interesting for the customer. As such, I generally prefer GUI driven testing (as I already have fast running Developer Tests). 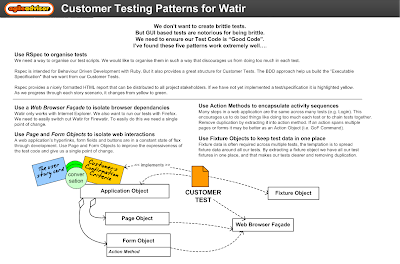 For web based systems I like to use Ruby, Watir and rSpec. 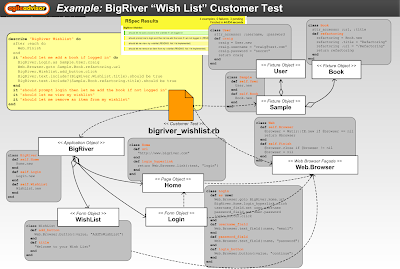 - The BigRiver WishList should let me add a book if I am logged in.